Hold on to your weaves everyone. 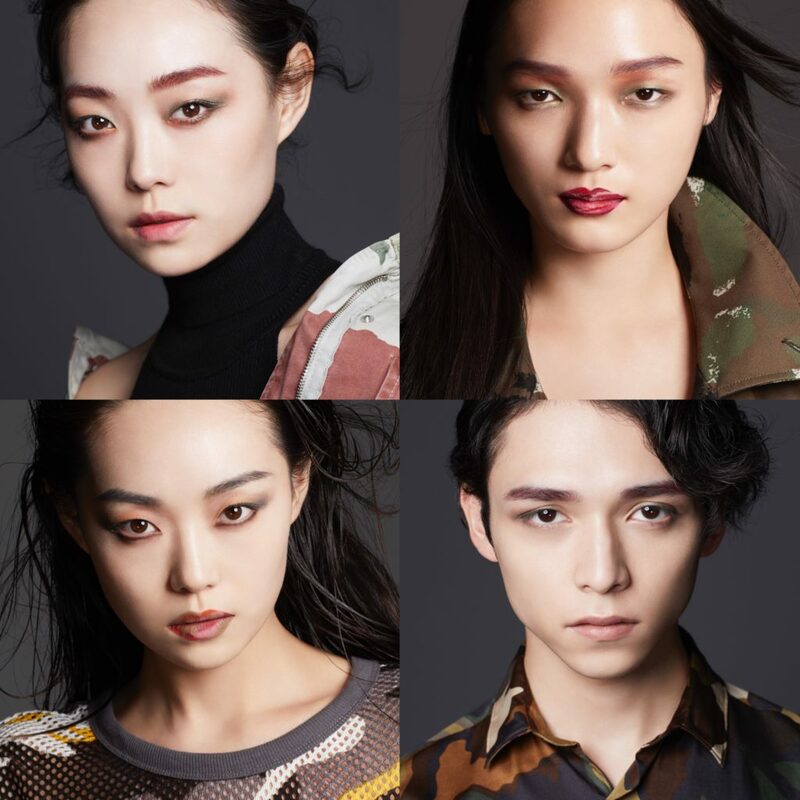 Maison Kitsuné and shu uemura has collaborated and dropped their new makeup collection, and i’ts guaranteed to make heads turn. 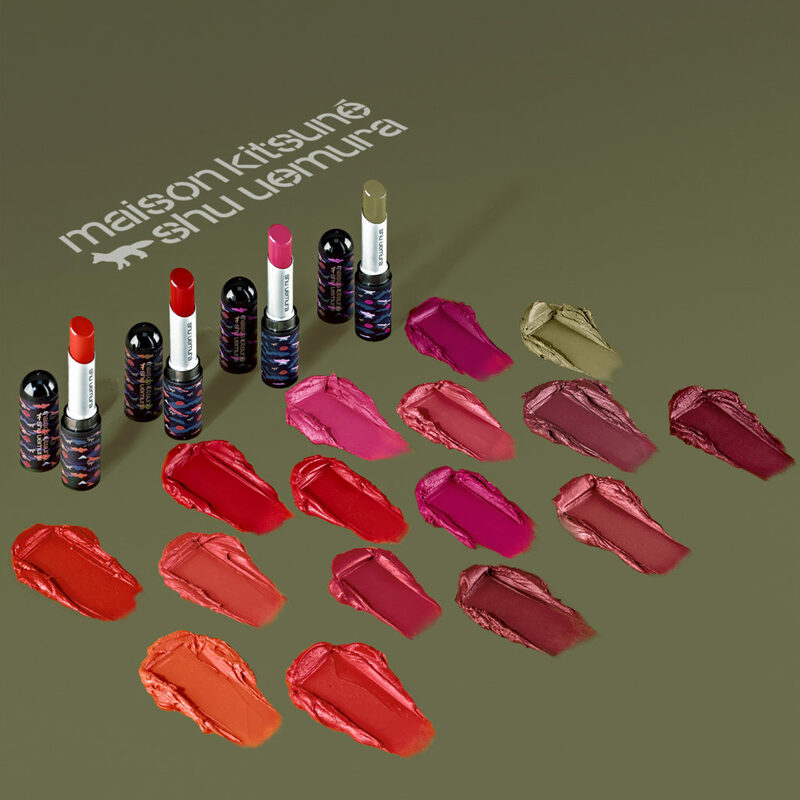 Maison Kitsuné and shu uemura new makeup collection is heavily inspired by military style, so think camo prints. Camo prints are huge this season and it looks like it’s here to stay. 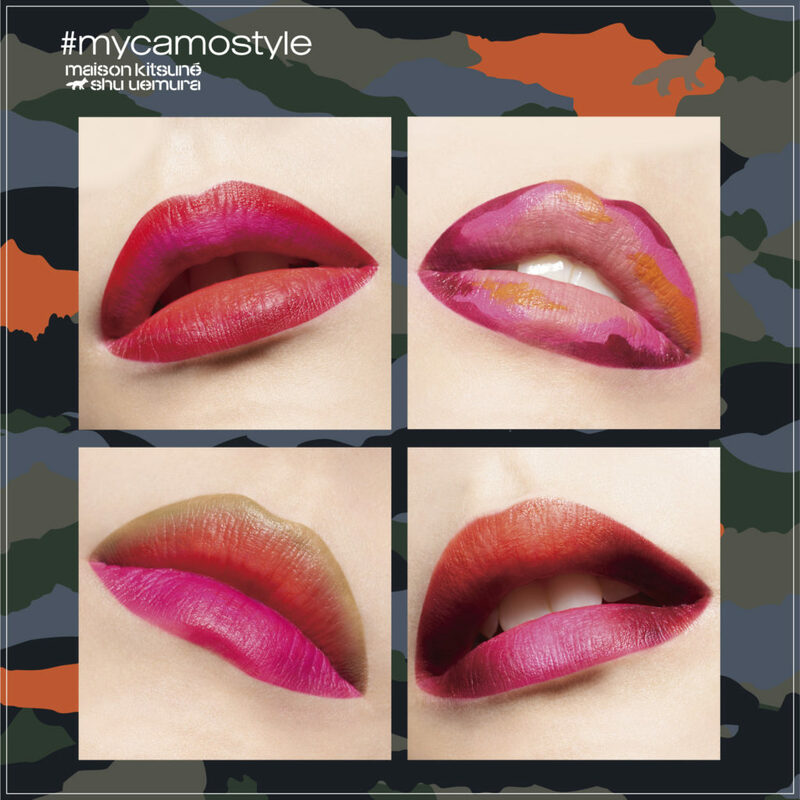 Many designers are coming up with their own interpretations of camo prints on the runway and it’s been spotted on many of our favourite celebrities as well, so we’re glad that Maison Kitsuné and shu uemura, both very trendy brands themselves, have decided to release an entire makeup line with camo print packaging and shades. For beauty junkies who may not be familiar with the Kitsuné name, the lifestyle brand was created in 2002 by Gildas Loaëc and Masaya Koroki, and envisioned with an edgy yet minimalist approach. Not only does it house stylish ready-to-wear pieces, there’s also an established cafe and music label under its name. As for the makeup collection, it’s time you go bold or go home. Bold colours are the first thing that comes to mind when looking at this new collection, especially when we’re talking about the very many lipsticks they’re launching. Choose from the lipstick tube design of the Rouge Unlimited Matte Supreme, or the Matte Supreme lip lacquer, which are both matte formulas. Firstly, the Rouge Unlimited Supreme Matte goes on velvety soft and comes in an array of shades, Psst, we’re talking a total of 16 shades with 9 new shades added. Talk about versatility! I’m certain you’ll be able find a shade that will fit your inner diva. This collection has trend-approved colours such as coral and khaki. If you don’t already know, coral happens to be the Pantone Colour of the Year ; if you would like to amp up your camo game though, slap on the khaki colour and you’ll fit right on trend. 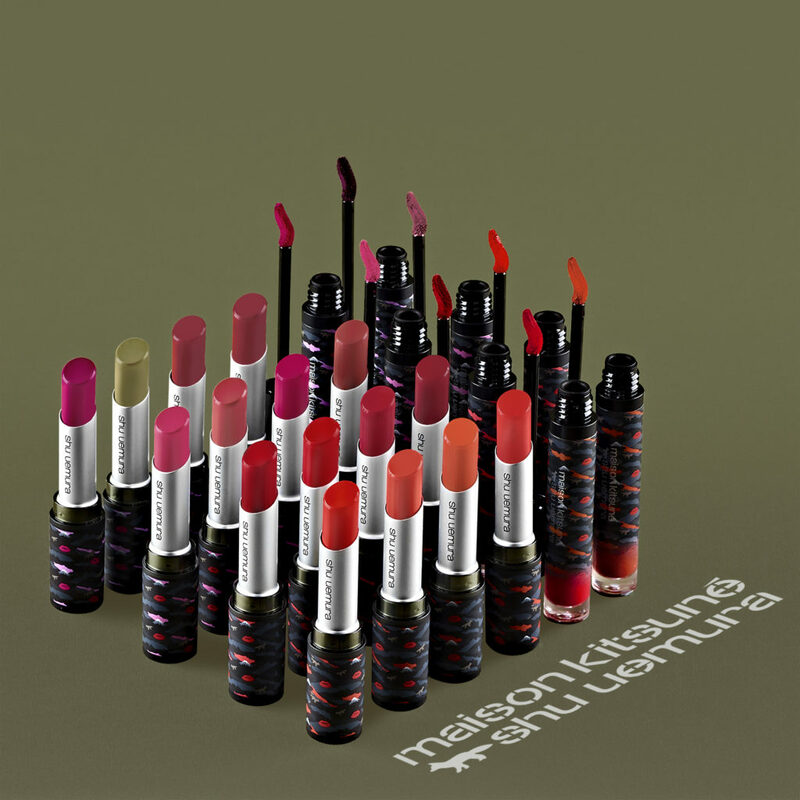 Now, if liquid lipsticks are more your thing, don’t fret — this collection also features shu uemura’s Matte Supreme. It is long-lasting and smudge-proof, or what I like to call, kiss-proof. Once again, there’s a wide selection to choose from, with a total of 8 shades, including 5 new shades. That’s 8 different shades for 8 different moods. Now, we would not be settled if there wasn’t an eyeshadow palette. Let me introduce the Camo Eyeshadow Palette. Fortunately, this collection has not let us down. It is a buildable dense powder formula that is able to take your look from day to night, since it does contain a generous portion of 12 shades with 6 different textures. 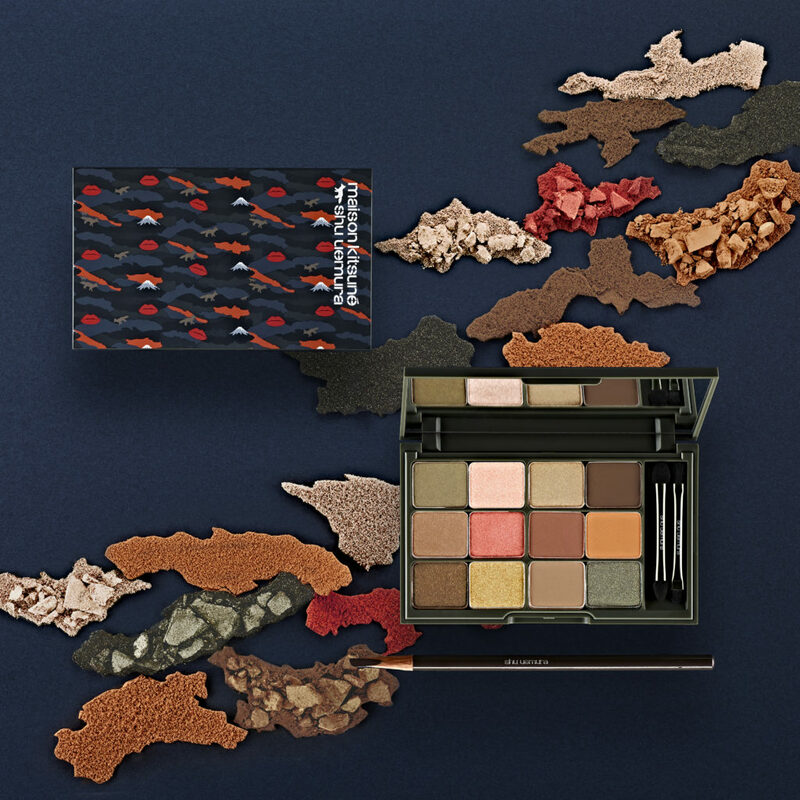 The palette is mostly made up of earthy hues, which range from neutrals to browns and greens, to brighter warm shades that’ll give you a sunset glow. 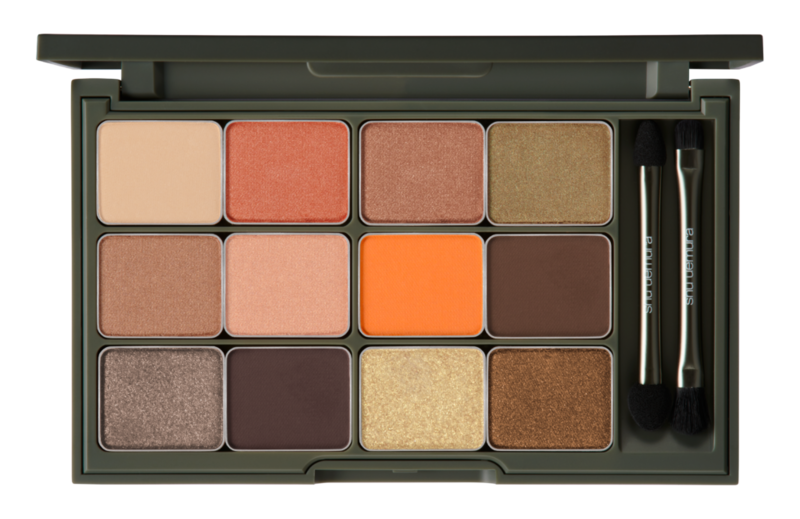 Apply the orange and khaki shades from this palette to steal the spotlight. End your day by cleansing with the new ultime8∞ cleaning oil. It is silky smooth to the touch and effectively removes all impurities without the cost of drying your skin, and allows your face to feel fresh and clean. Now, isn’t that a dream? It’s even packaged in the cutest camo-designed bottle. So what are you waiting for? Head online or to your local stores to pick this collection up! 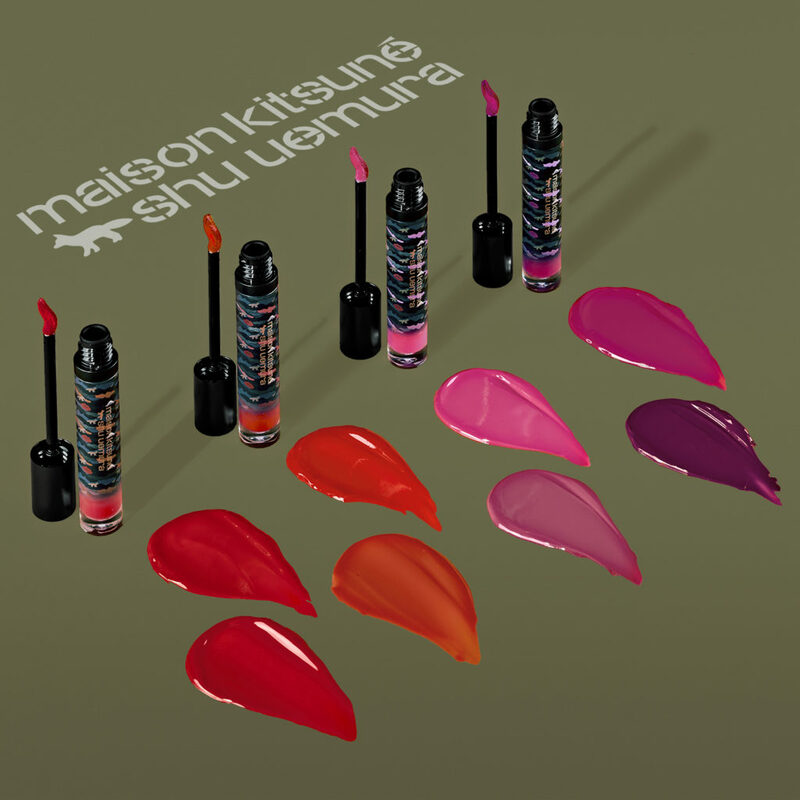 Maison Kitsuné x shu uemura #mycamostyle, priced from $33 to $165, available islandwide in stores and on shueumura.com/sg from 1st May 2019.